These tables and the figure are here so you can get an idea of the useful information and the way it's presented in What to Feed Your Baby: Cost-Conscious Nutrition for Your Baby. The numbering reflects the chapter and then the actual figure or table number in that chapter. Breastfeeding is one of the most personal choices new parents make. It is important to have all the information possible in making your choices about breastfeeding and which formulas to choose. This first table shows the relative costs of breastfeeding and the various available formulas (of course, the cost may vary considerably in different geographic regions, but the relative costs will remain the same). 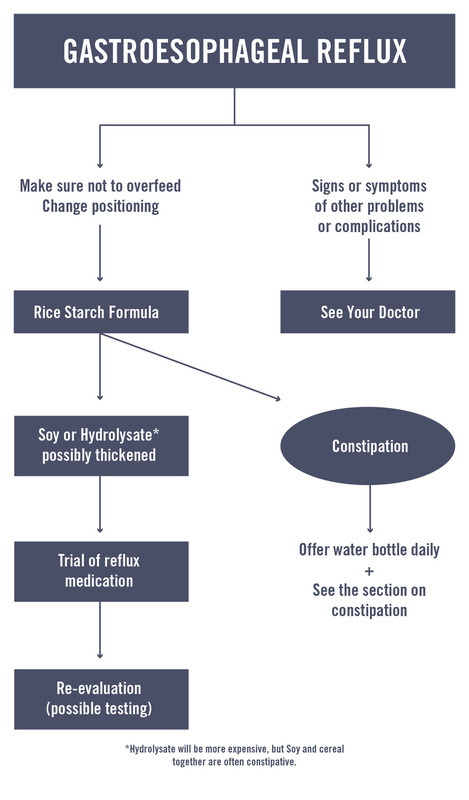 This algorithm can help parents contend with reflux in infants. 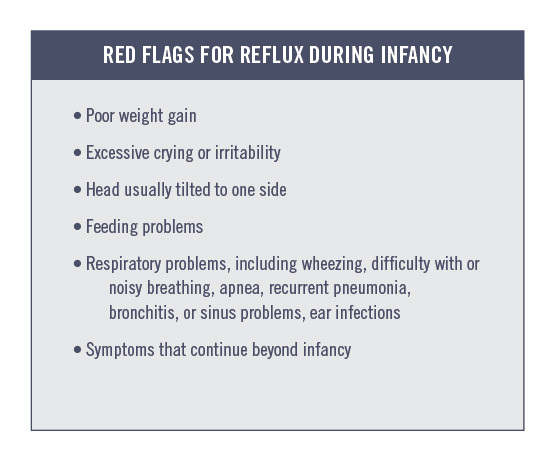 It is further explained in the chapter on Reflux and is typical of how Dr. Cohen helps parents understand how to approach common nutritional problems even if the first option fails. This table shows the approximate calories in Stage 1 and 2 infant food purees.